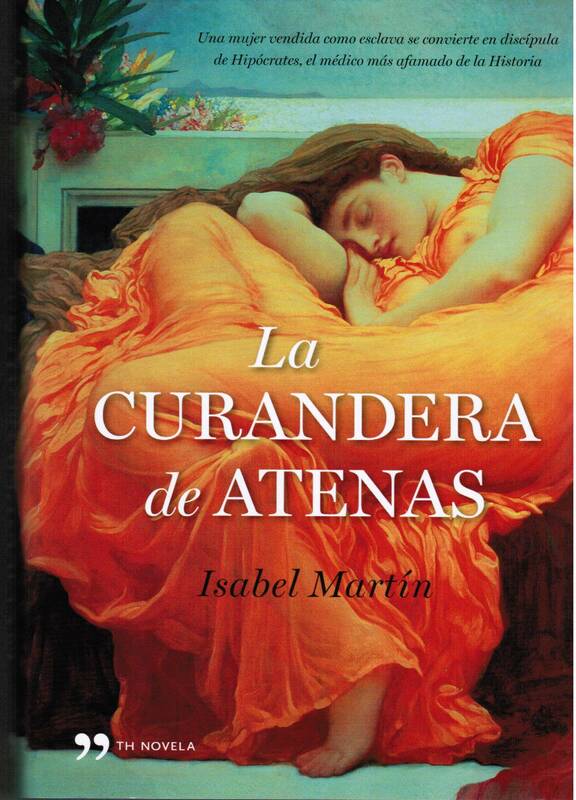 Winner of the 2010 Premio Hislibris awarded to the author of the best debut historical novel. Greece 5th Century B.C. Helena, the daughter of the philosopher Empedocles, is kidnapped in Sicily on the very day of her sister’s wedding and imprisoned on a slave ship on its way to Athens, a city in the midst of its period of greatest splendour. When the girl, adorned by her strange red head of hair, arrives in the city, she is sold to Aspatia of Miletus, the beloved of Pericles, the ruler of Athens, who surrounded by the leading figures in the arts, philosophy and politics including Phidias, Socrates, and Anaxagoras, seeks to promote knowledge of the human being and to lead his people to an ever more solid democracy. The young woman, for her part, tries to survive a destiny which has nothing to do the one her powerful family had planned for her. She goes from slave to renowned hetaira, from the object of a heresy charge to healer. She manages to unmask the man who organized her kidnapping and, impelled by a desire for revenge, she crosses Hellas to settle up with her past and her family and find her true love, Hippocrates. Together they are to carry out the studies which allow the physician to go beyond a belief in superstition and establish the practice of medicine as a true profession. As Athens moves inexorably from the greatest heights of civilization toward a destruction resulting from a plague and a fateful attack by the armies of Sparta, Helena attempts to find peace by banishing the demons that return from her past and by making room for the feelings that Hippocrates’ love awake in her. Olympia and the games, Delphi and the Oracle, Epidauros and the Temple of Asclepios, the Battle of Platea, which marks the beginning of the Pelopponesian War, all this seen through the eyes of a woman who fought against adversity to advance along the path of knowledge.